One of the first things I noticed when eating out in Colombia was the small plastic packet that always accompanied fried chicken. At first, I assumed it was a wet wipe, to clean up afterwards. But no, why clean up when you don’t have to get messy in the first place? The packet contains a plastic glove, (usually just one), to be worn while eating said chicken. I waffle between thinking it is sheer genius and/or utterly ridiculous. Brilliant or not, everyone was wearing gloves to eat their bbq chicken on Friday night at our celebration of Reindalo’s court rule wherein the Court declared him to be a conscientious objector. It what could only be a Colombian event, there was not a vegetable in sight, except for a lettuce garnish for the crackers. 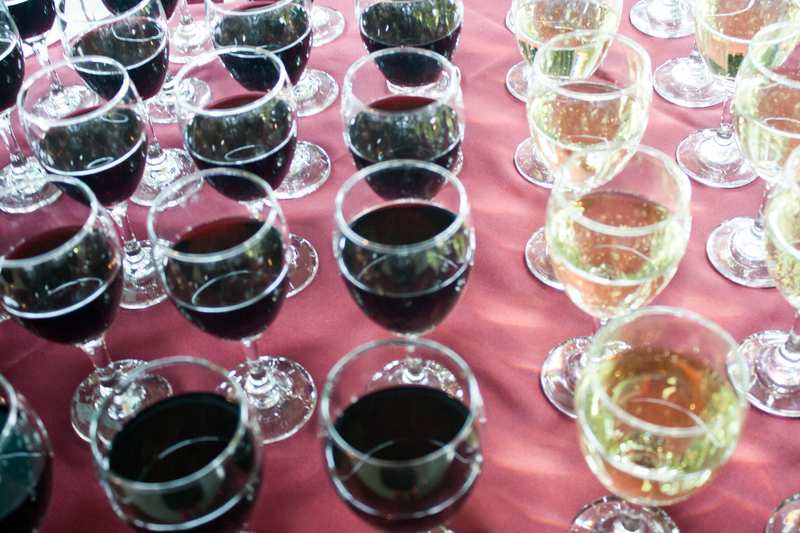 There was, however, plenty of mashed potatoes and an abundance of wine. As I chatted with co-workers and new friends, I could not help but think of other celebrations during my time in Colombia. 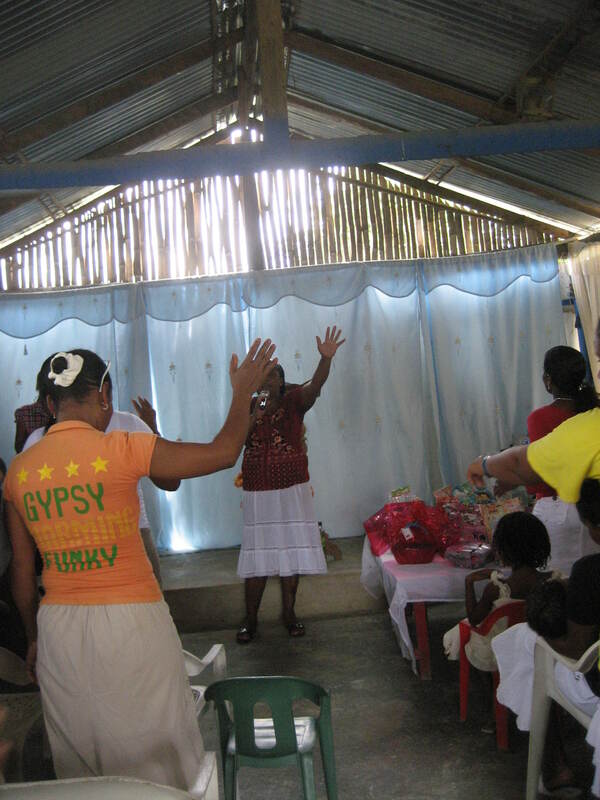 After the first round of reparations, the Mampujan church held a service of celebration and thanksgiving. Like most activities, it started an hour late in the middle of a giant rainstorm. We ate plates of rice and hacked at chewy meat with plastic spoons while huddled under a tin roof. During the service, as the fans shifted the hot stuffy air around the room, many members of the congregation yelled, sang and danced erratically, as others cleared away the plastic chairs in their path. Church leadership offered effusive praise to God for the miracle of reparations, brought on by prayer, barely mentioning the hard work of community leaders for 13 years. In a show of abundance, gifts were handed out to everyone. In a strange moment, a number of the young women, including myself, received sports bras. Once again, as I walked the two blocks home through the mud, I felt confused. The evening’s activities forced me to reflect on my own beliefs. It was a joy to be considered a member of the community to the extent that I was not only invited, but also received a gift like everyone else, but the style of celebration was not mine. I belonged, but did not know how to express my non-belonging in a way that would not be perceived as doubt or rejection. Instead of a free-for-all of worship and dancing with the Spirit, Friday night’s celebration of Reinaldo was ordered and calm. Invitations were sent out in advance. 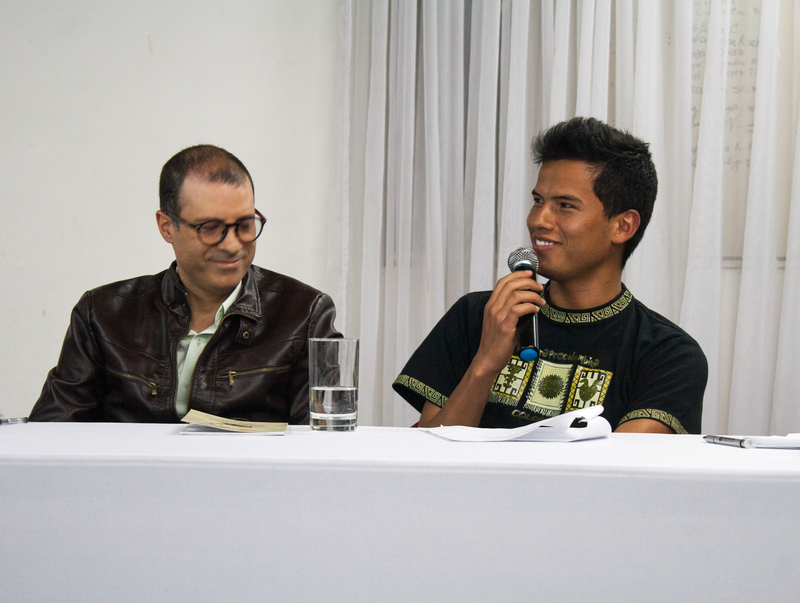 Caters worked in the kitchen, while panelists from different organizations and Reinaldo himself spoke for fifteen minutes each, sharing technical details of the ruling and challenges ahead. The audience asked questions, a few off-key songs were sung, buttons were passed out, and then we ate and drank. As we drank, we toasted Reinaldo and the amazing victory after three years of court battles and administrative limbo. Along with the wine, words poured out in a tumbling stream of stories: of COs in the past burning their libreta militars in the central Plaza de Bolivar, of protests, of jail time, of other celebrations, and of plans for the future. As the church emptied out, we kept right on celebrating victory by discussing life. I finally collapsed into bed at four in the morning, full of jumbled thoughts, but not exclusion. To be able to discuss philosophy, to question life and to doubt everything with co-workers for hours is much more my style of celebration than a long church service followed by rice. Yet, as I have sat at my desk everyday for the last months since vacations, I have felt a strong lack of motivation. It is challenging to feel connected to community processes and people without actually participating and living with a community. Conscientious objection has always felt so individual and sporadic compared to collective processes. My day to day reality remains the same, even if changes occur in their cases. Reinaldo and his biggest fan, his mother. When Jenny, the director of Justapaz, spoke during Friday’s celebration, she mentioned the community needed to bring each individual process to a successful close. In both the cases of Jhonatan and Reinaldo, their mothers played key roles in supporting and encouraging their decisions. 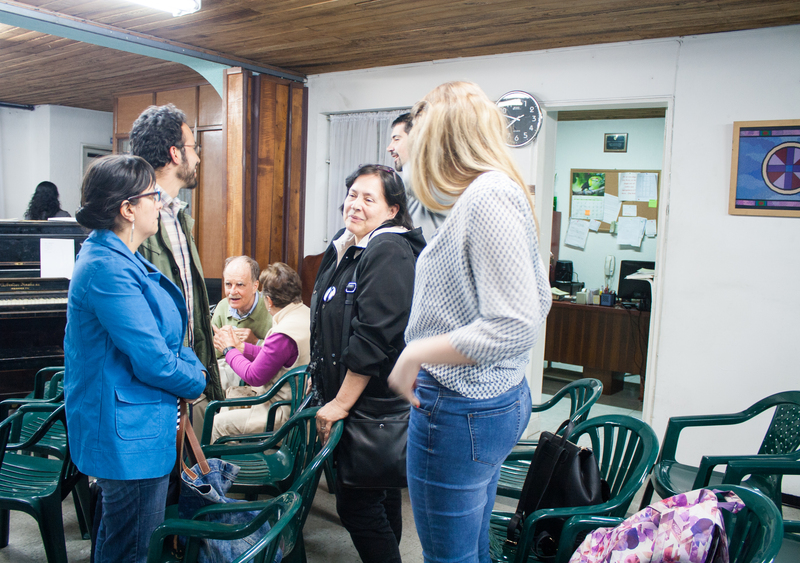 In an ever widening circle of support, other family members, church members, institutions, such as Justapaz and the Defensoria del Pueblo, lawyers, conscious objective collectives and people from all around the world, joined together. I can’t walk down the street and have a cup of syrupy coffee with them, but a committed community has formed over these last twenty five years in a process that is no longer simply about one individual. The entire third floor of the Bogota Gold Museum is devoted to gold ceremonial pieces used in pre-colonial religious rituals by Indigenous peoples. The first thing I saw on Sunday was a sign stating “Myths and Rituals to Renew the World.” As I read about the different practices used hundreds and thousands of years ago, for example, reflecting gold back at the sun to renew its light, I felt surprisingly connected to ancient realities. What is the work of conscientious objection or victim recognition but an attempt to make the world new? What are our celebrations, be they filled with songs or with wine, but acts of gratitude with the hope of continuation, that take place in community, no matter how that is defined? I am grateful to be in a place where simple acts of ritual feel familiar enough that I do not often acknowledge them for the reflections of belief they truly are. I am also grateful for the time I spent celebrating and being community in a context that often left me baffled, because Mampujan forced me to question my basic assumptions about life. Taking part in community within my work is still a challenge, but participating in any space where we can laugh with joy, eating chicken with gloves or not, is a step in the right direction, in order to renew the world.